BBC News: What is India’s caste system? This document was prepared by MEASURE Evaluation at the request of the PEPFAR OVC Technical Working Group and reflects a legislative mandate to monitor and evaluate programs funded by the U.S. President’s Emergency Plan for AIDS Relief (PEPFAR). A case study to document monitoring and evaluation (M&E) systems strengthening in Côte d’Ivoire and Nigeria sought to (1) document the M&E system strengthening interventions and investment from 2007 to 2012 and (2) identify M&E system strengthening progress and the need for future interventions. Analysis of the qualitative findings focused on providing understanding in four key areas: (1) national commitment to HIV M&E system strengthening, (2) performance of the HIV M&E system, (3) national capacity to strengthen the HIV M&E system, and (4) integration of HIV M&E systems with national health information systems. A summary of conclusions is provided. Program monitoring and evaluation (M&E) has the potential to be a cornerstone of health systems strengthening and of evidence-informed implementation and scale-up of HIV-related services in resource-limited settings. 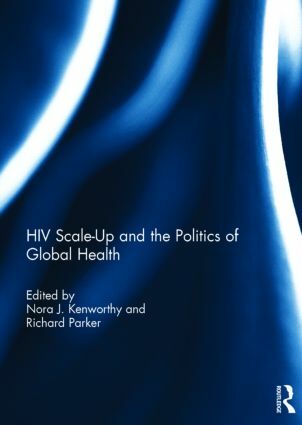 The authors discuss common challenges to M&E systems used in the rapid scale-up of HIV services as well as innovations that may have relevance to systems used to monitor, evaluate, and inform health systems strengthening. The article appears in the Journal of Acquired Immune Deficiency Syndromes.